Our business is about protecting people’s lives and livelihoods, while enabling growth and innovation – often in areas that need it most. We apply our professional skills and the energies of our nearly 65,000 colleagues to the communities around us. 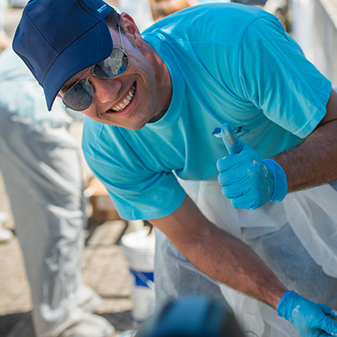 Every year, Marsh & McLennan Companies gives all employees around the globe a day to volunteer. People at Marsh & McLennan companies are prodigious volunteers. We admire colleagues who play a role in their communities, and give them time to do so. Every one of our hundreds of offices embraces local causes where we can have greatest impact. Individual colleagues use our offices as hubs to rally support for causes that move them. When disaster strikes, our colleagues are often among the first responders. Marsh and Guy Carpenter make detailed impact analyses public to help local leaders prepare and respond more effectively. We partner with Red Cross/Red Crescent and the International Rescue Committee, too. We use our know-how to improve how people live. Our experts on pandemics play key roles in preventing and containing outbreaks. We use our analyses of aging populations, refugee flows, and healthcare outcomes to advise on policy and help our clients and our communities apply best practices. We are working to bring microfinance and mobile banking to scale, helping people in some of Earth’s poorest areas start small businesses and save. We advocate for opportunity for women and girls around the world — $13 trillion in untapped economic potential. And we support educational programs that prepare at-risk youth for the world of work. We enjoy enduring worldwide partnerships with The Red Cross and Red Crescent Society, Junior Achievement, and the Cherie Blair Foundation for Women, whose mentoring programs are creating more financially independent women and stronger societies in 80 countries. 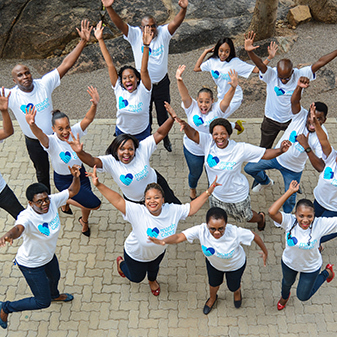 Our colleagues around the world help hundreds of other nonprofits strengthen their organizations and manage risks, so these often financially fragile organizations can maximize the good they do for years to come. We advise clients on how environmental factors affect location, operational and strategic decisions. As risk advisors, we are documenting the effects of climate change, and shaping mitigation strategies. One example: by reducing the uncertainties of renewable energy sources, we are enabling wider adoption by providers and utilities to bring them to scale. Meanwhile, our “people” experts are helping transform client organizations to make sustainable practices part of the culture. Before we advise clients, we try to lead the way ourselves. Marsh & McLennan Companies has improved its performance in the CDP S&P 500 Climate Disclosure Leadership Index every year since 2010. We work in partnership with the British Red Cross to help build resilient communities in the UK. Every penny raised helps people prepare, respond and recover from crisis. Our colleagues’ fundraising has supported three services in Essex, Glasgow and Manchester. Our Corporate Social Responsibility program works hard to do good work on a global scale. We aren’t the only people to think so. Our efforts have received accolades from around the world, including awards from organizations in Mexico, the UK, and Bermuda. Through upgrading the lighting systems and a global managed print services program, we are continue to work to reduce our electricity and paper use.